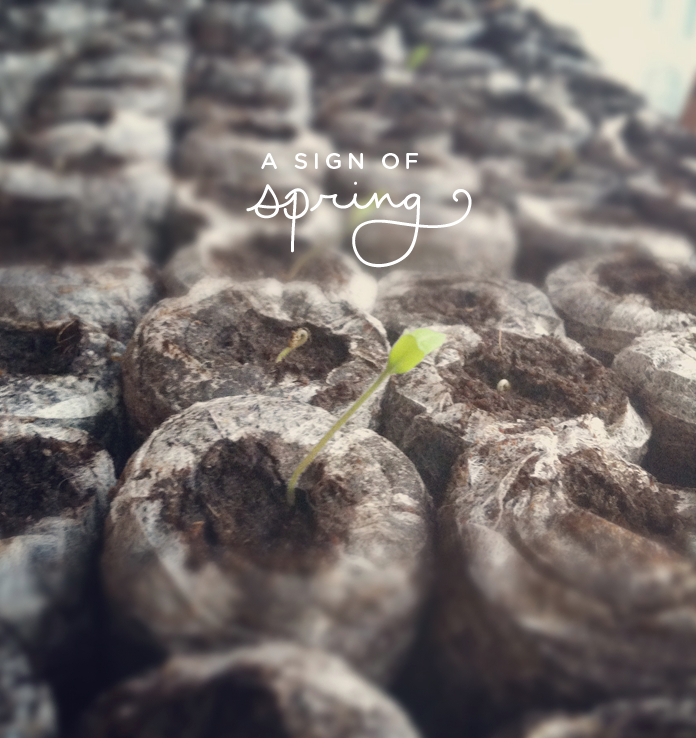 I began planting our garden a week or two ago and have been enjoying watching everything begin to sprout. A sign that long warm days are on their way. This is making me very happy. I look forward to the time I spend in the garden every year. There is something about growing things that really is calming. Do many of you have gardens? I just started gardening this year, and nature BLEW away my little seedlings during a freak storm while I was getting them used to being outside. I couldn’t believe it! Lovely photograph! We have quite a few gardens – a little front & back garden at our house & then a big greenhouse & a big plot outside. But love it so much as you can literally watch you work growing, and it’s a lesson for life – you don’t need much, bit water, bit of earth & a tiny seed can grow to great heights! I feel like I have “mini” gardens everywhere. from the outside front area, to my room by the window, to flowers placed in various rooms of the house!